Beautiful Silver Black Onyx Oval Knot Pendant with pretty silver work in a Celtic Knot design which opens up & wraps itself around the lovely crystal. The cab is approx 15 x 20mm & the Pendant is approx 4 3/4cm incl its Pretty Bale. Matching Earrings also in stock. Best Seller! Hand Made Black Onyx Oval Knot Pendant. 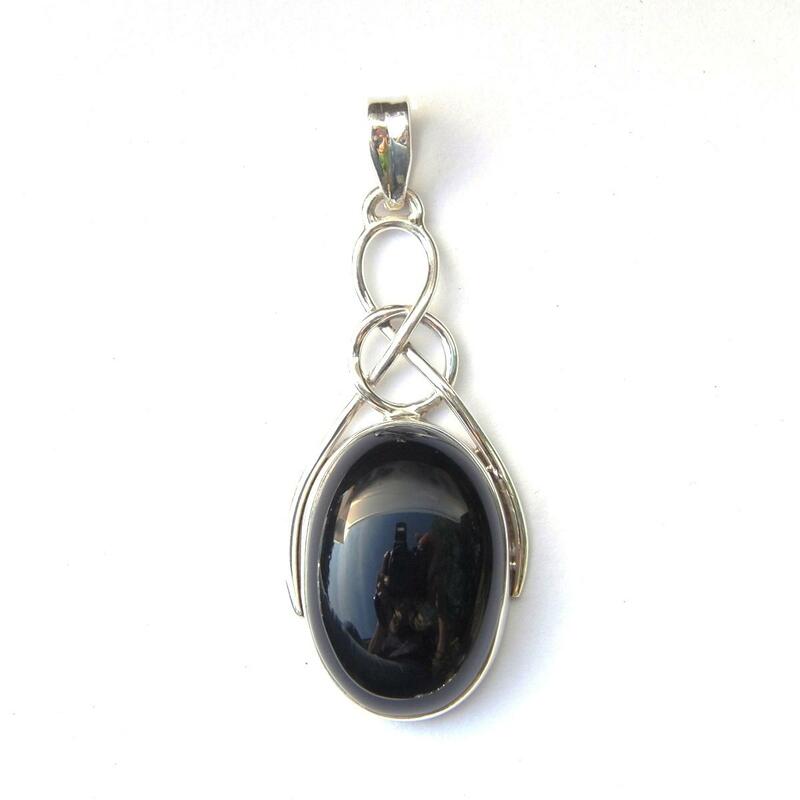 This is A Nice Large Silver Black Onyx Oval Knot Pendant and it has Lovely Silver work in a Celtic Knot Design which opens up & wraps itself around a Pretty Oval Cab. The Oval Cab is approx 15 x 20mm & the Pendant is approx 4 3/4cm incl its Pretty Bale. Matching Earrings also in stock. Best Seller! This website is strictly for approved Wholesale customers only, if you are looking to purchase this Black Onyx Oval Knot Pendant from a retail store, please visit Shooting Star.